The phrase “property and casualty insurance” is bandied about quite a bit, especially between insurance brokers and clients discussing business insurance alternatives. However, many people still don’t know what it means. If you’re a small business owner, it’s important to understand the various types of insurance options available to you. Here are 4 things you need to know about property and casualty insurance. Property and casualty insurance is, simply put, insurance that protects against property losses and losses that may result from a lawsuit due to negligence. The “property” portion of the insurance policy will protect the assets of your business if they are damaged by an event such as a storm, an act of vandalism, or theft. The “casualty” portion of the insurance policy will cover your business if it is sued due to negligence on the part of you or one of your employees. If somebody trips in your parking lot and requires medical attention, that person might file a lawsuit against your business for damages. If you go to court and lose, you could be liable for tens or even hundreds of thousands of dollars. Fortunately, with property and casualty insurance, you’ll be covered not only for the damages but also for attorney fees. Your business might have to cease operations for a while in the aftermath of a storm or during an extended power outage. If you’re like many other small business owners, you might find this scenario financially challenging. Fortunately, property and casualty insurance covers business interruption. This means if you can’t run your business for a period of time due to circumstances outside your control, then you are eligible for compensation from your insurance carrier. Not all property insurance policies are the same. There are different levels of coverage with, unsurprisingly, different premiums. There is also special form coverage, which covers everything in broad form coverage plus all losses not specifically itemized as excluded in the policy. Usually, war is listed as an exclusion. You might think that property coverage includes coverage of your real estate assets and nothing else. In fact, property insurance covers a variety of assets. Check with your insurance broker about specific coverage options available to you; you’ll find that property insurance will cover everything from cargo to fine art. In some cases, even accounts receivable is covered. 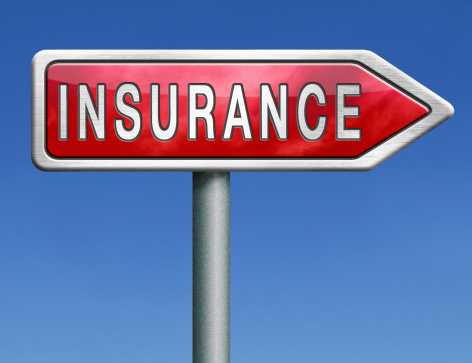 Property and casualty insurance is a must for many businesses. Be sure to discuss your insurance options with your agent today.